One of my favorite things about the instant pot is cheesecake. I live in NY and I think we have the very best cheesecake. I am really not a fan of the “nobake” cheesecakes that everyone makes now. There is no substitution for real Cheesecake Made with Ricotta Cheese. 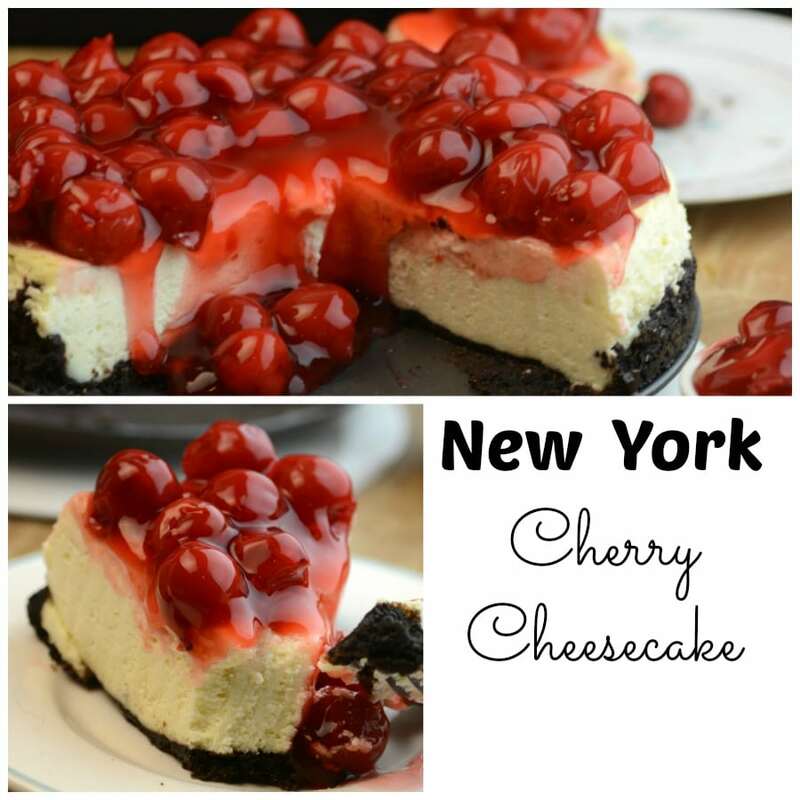 Now with very little effort I can have Instant Pot NY Cherry Cheesecake with Ricotta. I also have made a delicious Samoa Cheesecake that will melt in your mouth. Directions: In food processor crumble Oreos and add in melted butter. Press into the bottom of your spring form pan. In your mixer mix together eggs and cheeses. Fold in sour cream and Vanilla. Pour mixture in the spring form pan. Pour one cup of water into your instant pot. Place trivit inside and your springform pan on top. I use a piece of foil to make it easier to remove. Cook on manual high pressure for 40 minutes. do a quick release. Remove and allow to cool about 12 hours. Top with Cherries and serve. I tried this recipe and it turned out well, except that 1 Tablespoon of Vanilla turned out to be too much. I used pure vanilla and it’s kind of overpowering. I should have just used a teaspoon but I thought perhaps the Tbsp of Vanilla is to make up for there not being sugar in the cheesecake. I added some sugar anyway because I used a graham crust instead of oreos. I made this and the crust got really soggy, there was water around the edge of the cheesecake when I took it out, I tried to pour some off, but the crust was still soggy. I guess I am not surprised as I steamed the cheesecake, but is there a way to fix this or are all instantpot cheesecake crusts soggy? I would add a layer of foil to the bottom and to the top of the springform pan. On the top add a paper towel first, then covered by foil. This minimizes the amount of condensation which otherwise pools on top of the cheesecake. I am finding great recipes here. Some of them have a print option that comes up as I scroll. Others don’t. Is there a trick to getting the recipes in a print friendly format. I don’t want all the ads to print and use up my color ink. This is the first cheesecake that I have made in my IP. It had a little bit of a grainy texture and wasn’t sweet at all. Are there different types of Ricotta Cheese? Maybe I bought the wrong kind. I think a little sugar would have helped the flavor. Other than that is came out good…the cherry pie filling gave it more flavor and did add some sweetness. 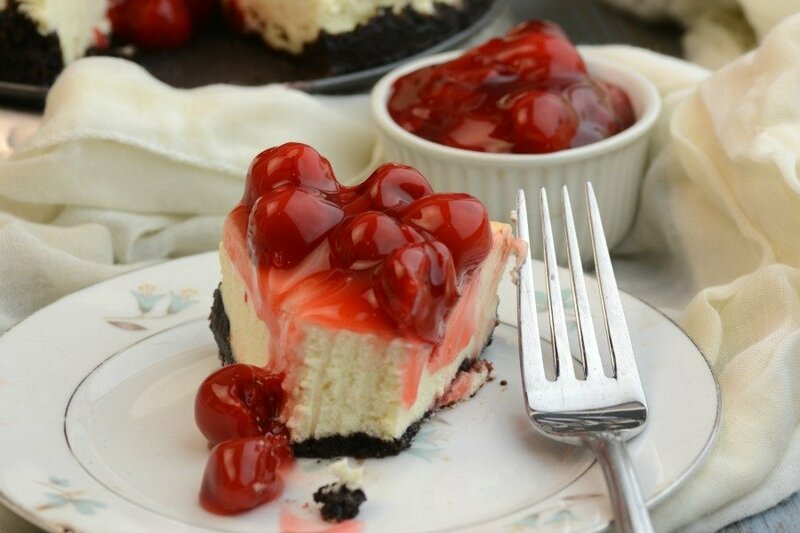 I would recommend adding some sugar to the cheesecake, as otherwise as-is there is little flavour and its dependent solely on the cherry topping. Otherwise easy to make!